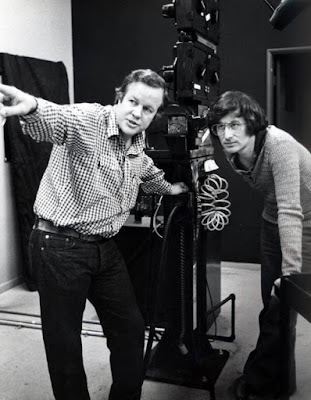 Doug Trumbull (l) and Steven Spielberg making CE3K magic. It's pretty cool that Sony Pictures is celebrating the 40th anniversary of Close Encounters of the Third Kind (CE3K) by re-releasing the film this coming September. Sony's clever trailer for the re-release, entitled "This Means Something," brings back all the thrills and chills I felt when I first saw the film in 1977. 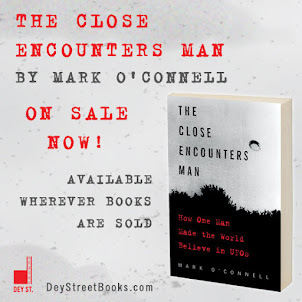 It also brings back the thrills and chills I felt when I was doing research for my book The Close Encounters Man and discovered the true story of Dr. J Allen Hynek's involvement in the film. There are so many enjoyable moments in this story: getting to meet and interview the director of special effects for CE3K, Douglas Trumbull; learning how Dr. Hynek's 6-second cameo appearance in the film came about; unearthing the awkward correspondence between Hynek and Steven Spielberg in which they discussed using Hynek's term for the title of the film; Hynek's descriptions of some of the silly "bloopers" from his cameo scene; the impact the movie had on Hynek's work and on UFO research in general; and, of course, discovering the true inspiration for the French UFOlogist character, "Claude Lacomb," played in the film by Francois Truffaut. For years and years, it has been generally assumed -- and repeated ad infinitum -- that the "Lacombe" character was based on Hynek's pal and partner in UFOlogy, Dr. Jacques Vallee. 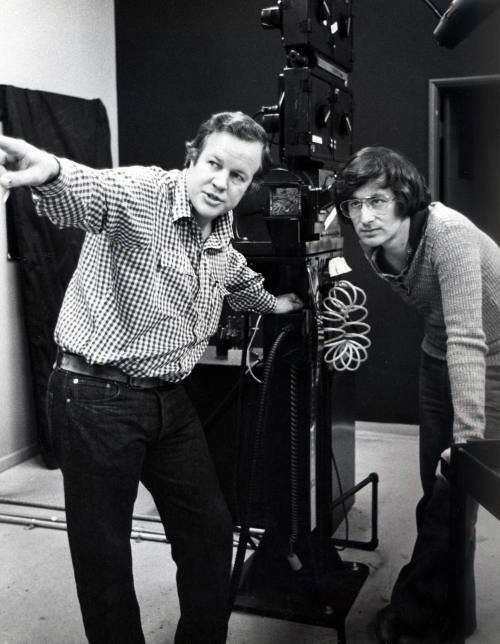 I had always made the same assumption, because it seemed to make sense, even though both Spielberg and Vallee have kept mum about it all these years. That's why, when I discovered the truth, I pretty much fell out of my chair. But I'm not going to spoil the surprise here! Oops, that's embarrassing! 40th Anniversary of the movie; 70th Anniversary of the "modern era" of UFOs. Yep, Mr. Arnold 1947. BTW-I picked up your Hynek book a couple of weeks ago. Haven't had time to crack it open yet, but looking forward to doing just that soon. Now I owe you two thanks! One for catching my mistake and another for buying the book! Much obliged. No problem. On the first, it was my inner editor bubbling up and on the second, Leslie Kean's little blurb on the cover piqued my interest. If you care, I'll let you know what I thought about it when done. Cheers. Of course I want your review! It's truly fitting that CE3K should be re-released during this UFO anniversary year. 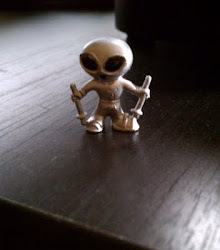 To me, it's original release was an important event because it rekindled public enthusiasm for the phenomenon at a time when the UFO subject seemed to be in the doldrums due to the various debunking reports, the termination of Blue Book, and the fading away of serious coverage by the MSM. It really led to a Golden Age of UFOlogy! Hi, I just discovered your blog and am looking forward to reading through it. I also have your book on Hynek on my want list. Keep up the good work!